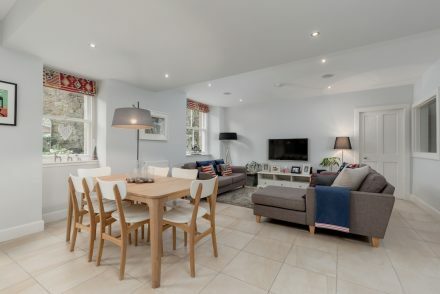 Years ago, I visited an incredible property called Sea Loft in the Fife coastal town of Kinghorn. 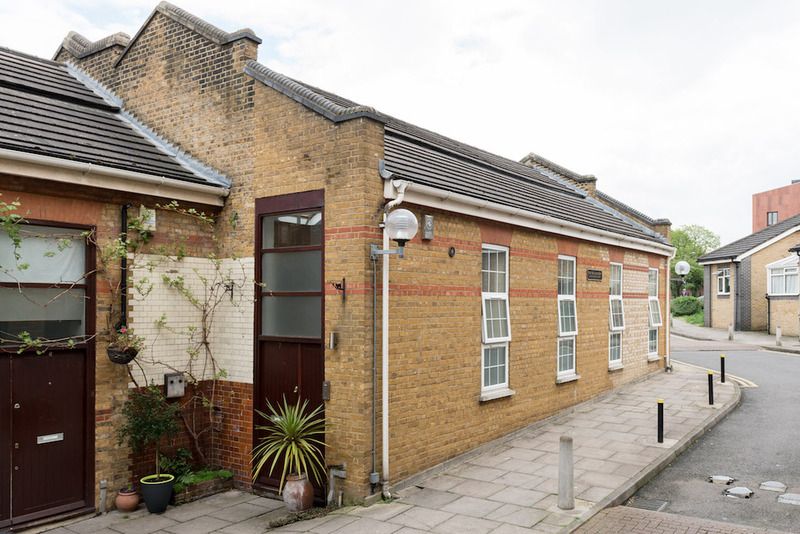 Sea Loft was the home and studio of artists Robert Callender and Elizabeth Ogilvie, who created the space by converting a previously derelict cinema. 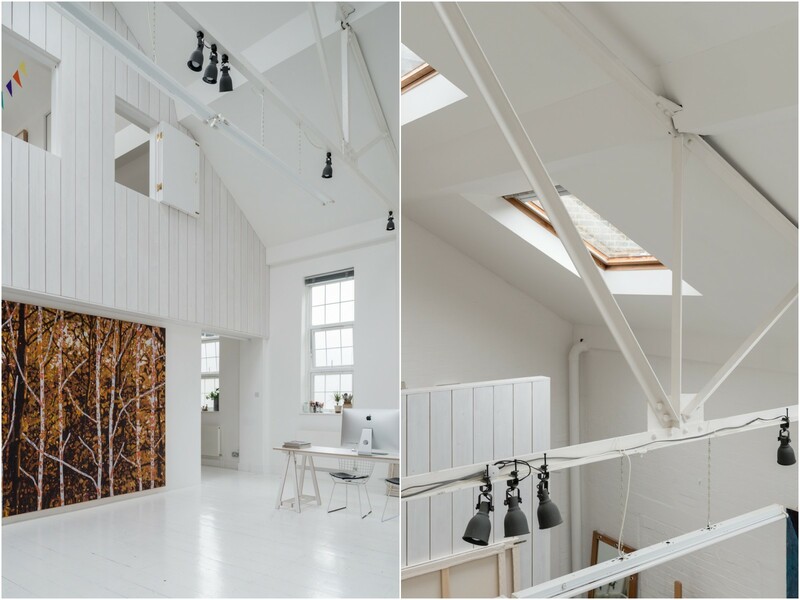 The volume and the natural light thundering into the all-white studio was incredible, and no less so in the couple’s living area with its sea views. It was a wonderful example of a living space and studio that worked together, cohesive in design and approach, to create an unforgettable home. 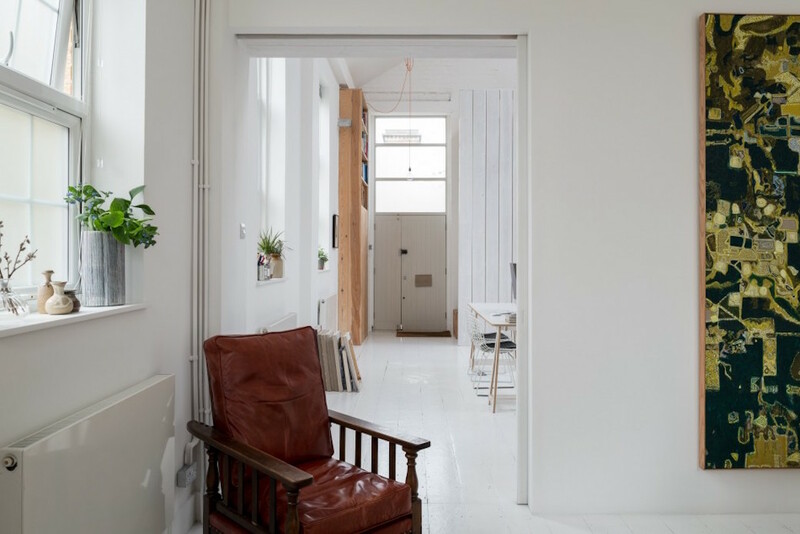 And this London house, House for a Painter, although very different in location, shares that same unique quality and the wonderful sense of light and volume. 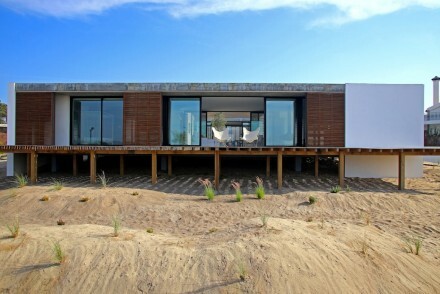 Whereas Sea Loft was about views outside to the landscape, this house offers long views between the studio and living zones, an “internal landscape,” as architect Dingle Price refers to it, where one area flows into the next. 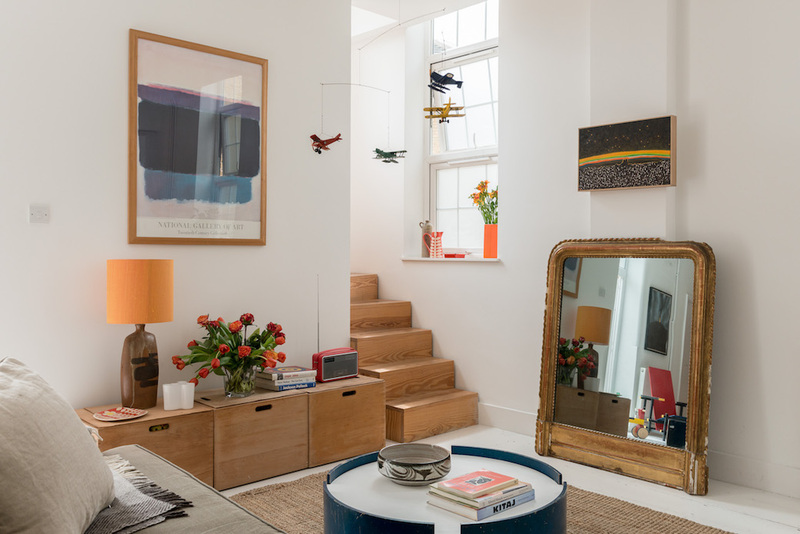 This remarkable home, which is now on the market with The Modern House, is tucked along a quiet cul-de-sac off St John’s Hill in Battersea, and was created by Price – who recently formed his own practice, Pricegore, with Alex Gore – in collaboration with the current owners, a contemporary artist and his wife. 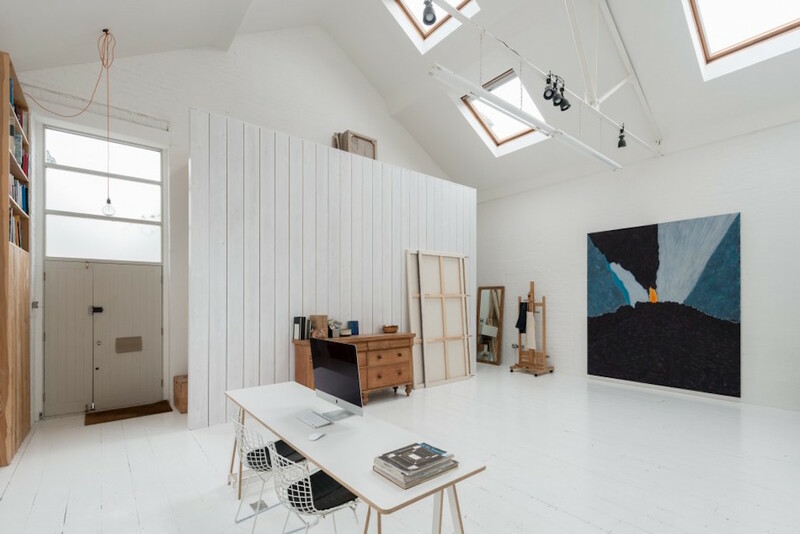 The former Victorian laundry was originally converted in 1994 to create live/work spaces for artists and makers, and was then used as a photography studio. 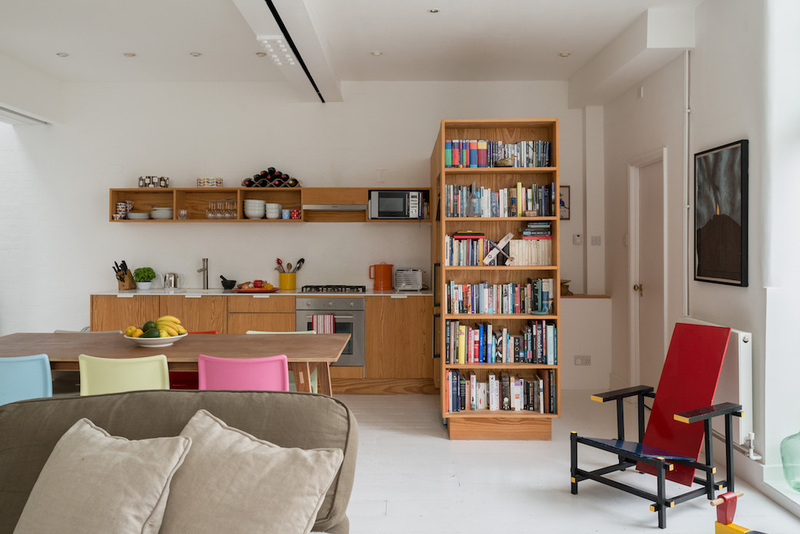 The couple had lived and worked in the warehouse building for a number of years, but the arrival of their first child prompted them to reconsider the space and create a more formal living arrangement. 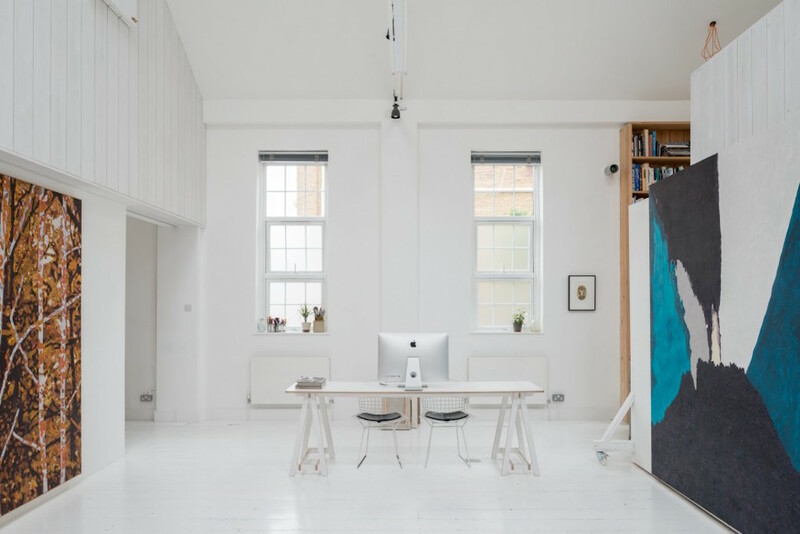 The interior of the old warehouse was stripped out and Price then divided the space in half, making use of an existing mezzanine to create two-storey living quarters on one side and a double-height studio on the other. 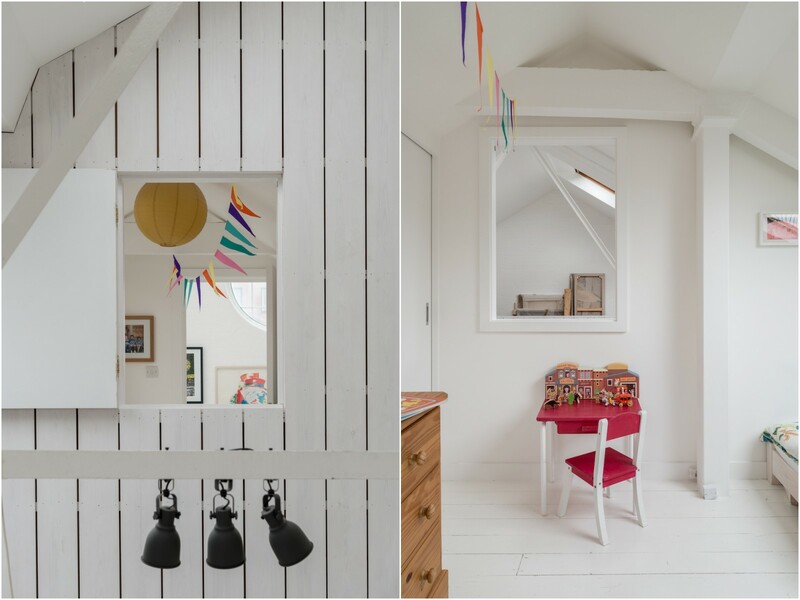 The existing interior consisted mainly of white plastered walls and both unfinished and white painted pine floorboards, and Price worked within this retrained palette of materials. 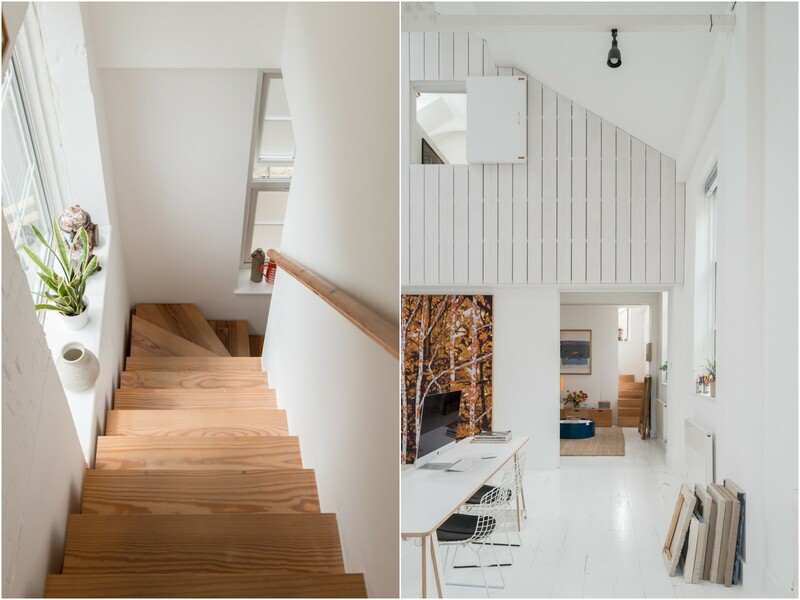 The internal staircase and cabinetry are constructed from southern yellow pine planks, and the internal elevation of the main living space is partially clad in painted pine boards of a matching width to the floorboards. 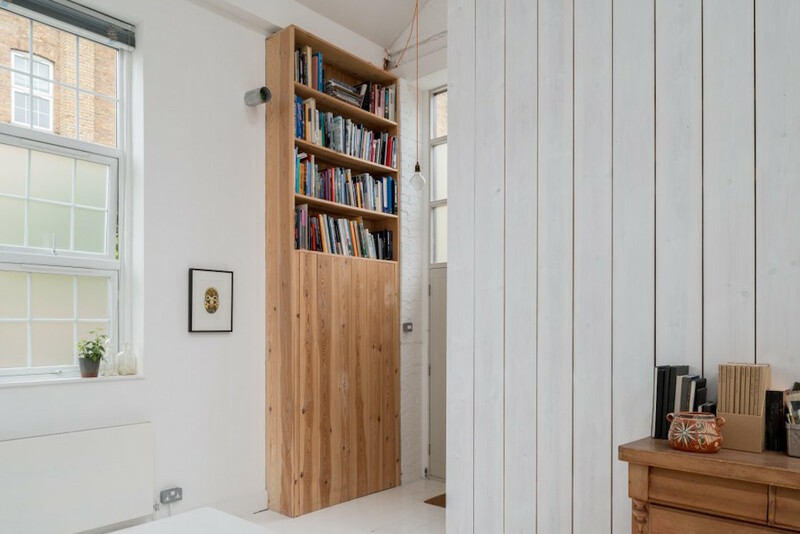 I particularly like these internal ‘windows’ in the wood panelled wall – shutters that open from the bedrooms upstairs to overlook the roof space and the studio below. Whoever lives here next may consider developing the space further. 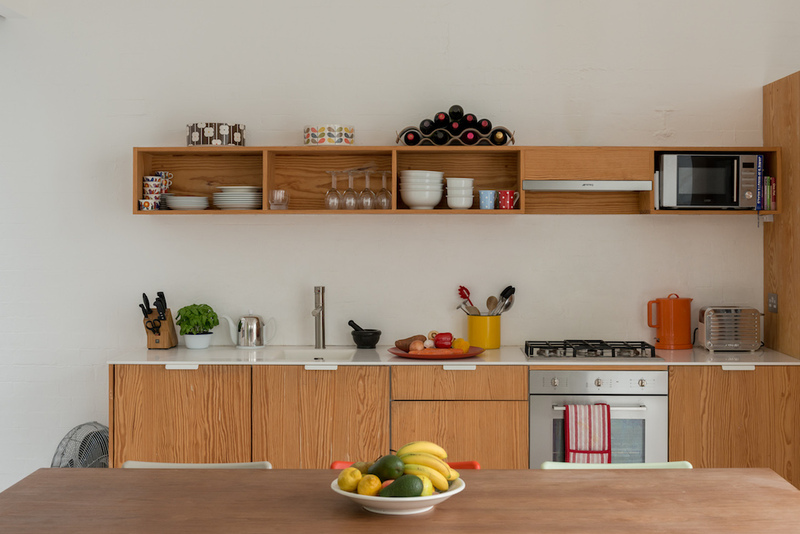 The current owner has drawn up proposals, designed to be in keeping with Price’s original concept, whereby the internal wall would be removed between the kitchen, dining and living space and the studio to create a much larger open plan living zone – you can find the sketches for this in the listing on The Modern House. 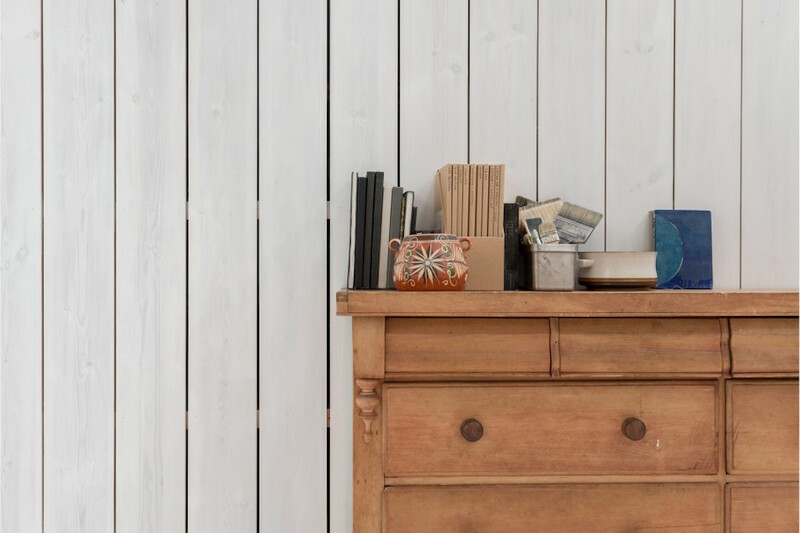 This design concept also enables the creation of a third bedroom and a new study. Clearly though, this is already an exciting space to live in. 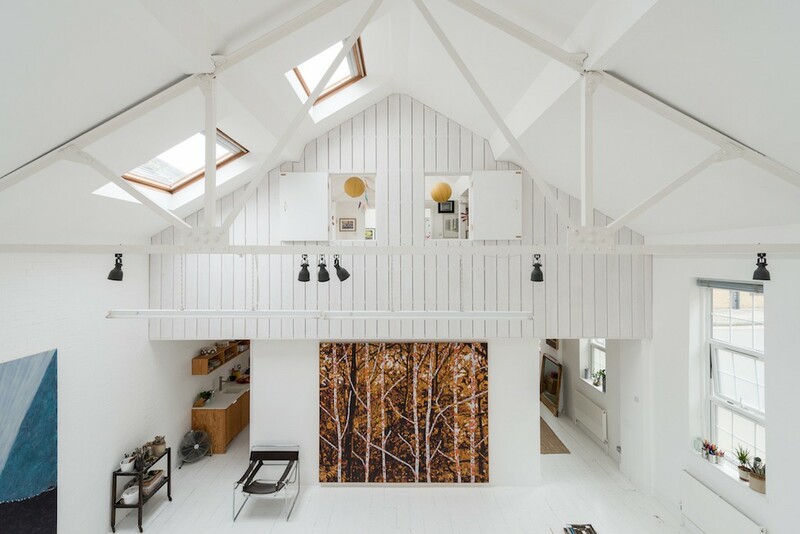 With roof lights drenching the interior in light, this home would feel like an antidote to our grey-skied winters (and our grey-skied summers for that matter!). And from outside, you really wouldn’t guess what this space looks like. 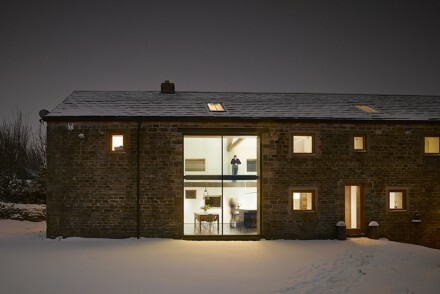 I love houses that offer that revelation, that element of surprise. 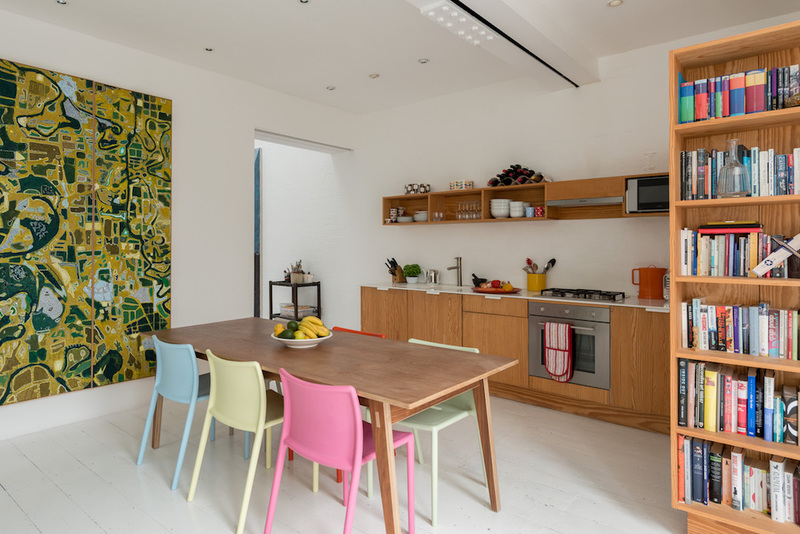 House for a Painter is listed with The Modern House. All photography from The Modern House.